New for 2019, AWA is excited to announce a newly formed relationship with Pfaff Motorsports. “I want to say a huge thanks to Pfaff Motorsports program manager Steve Bortolotti for the opportunity to campaign the GT4 effort.” said Wojteczko. 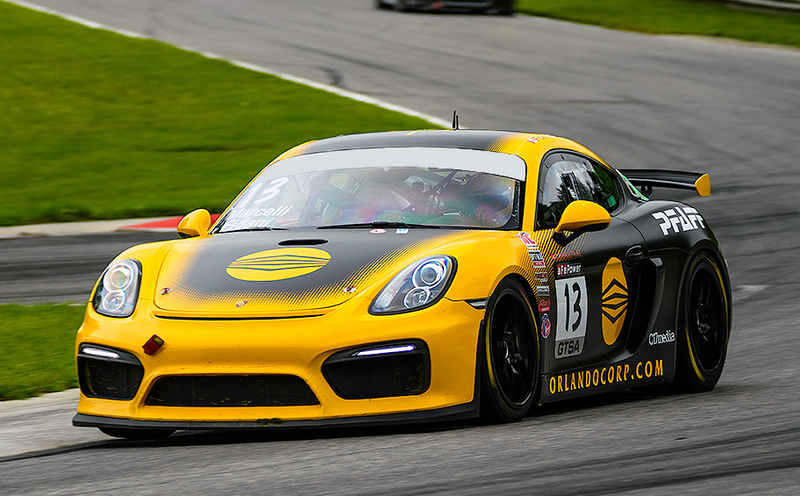 “We’re fortunate to welcome some talented crew from Pfaff Motorsports for the GT4 effort, while select AWA crew will be staying for the WeatherTech races to assist with the Pfaff Motorsports Porsche GT3R GTD effort. “The Pfaff Motorsports team is a talented, capable group that has achieved great success in the sport. It’s an honour to be a part of this effort.” said Andrew Wojteczko. 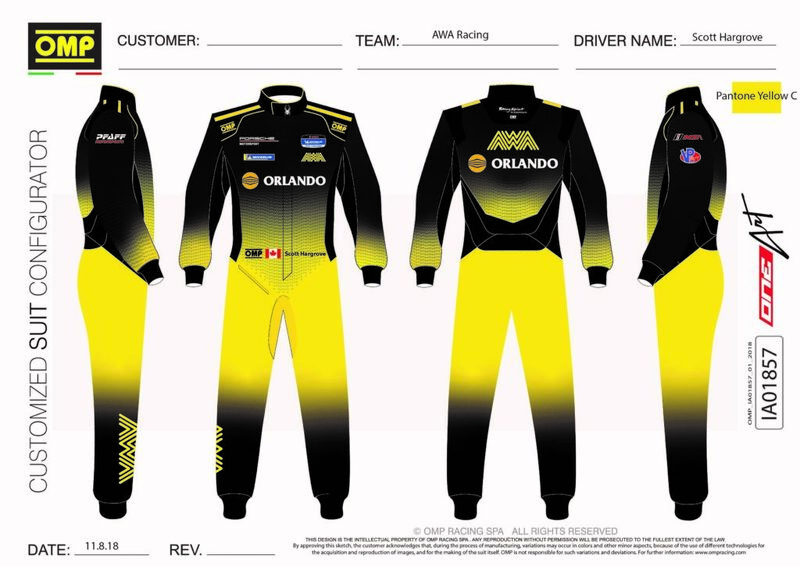 The AWA team is thrilled to announce partnerships with some legendary brands including title sponsor Orlando Corp. Look for drivers to be fitted in the latest OMP One Art sublimation-printed driver suits, while crew will be sporting the First Evo suits over the wall. We are proud to welcome OMP back and greatly appreciate them keeping us safe over the wall and behind the wheel. Spyder is back for 2019 and their fashionable, technical apparel now with GoreTex will be making sure the team stays dry and warm on the cold days, and cool on the hot days. With the season once again kicking off at Daytona in January where temps are often at the freezing mark, the right gear makes a huge difference. If you catch the team on the road or at the airport, you’ll once again see Projekts’ puddle jumper roller and gravy backpack, stylish and durable gear making sure everyone’s valuables arrive safely at the track. Watch for ongoing collaborations with DNBK, creator of the AWA artwork. OMP One-Art custom printed suits. lightweight, breathable fire protection. Looking for a Porsche of your own? Head over to pfaffporsche.com for all of your Porsche needs.